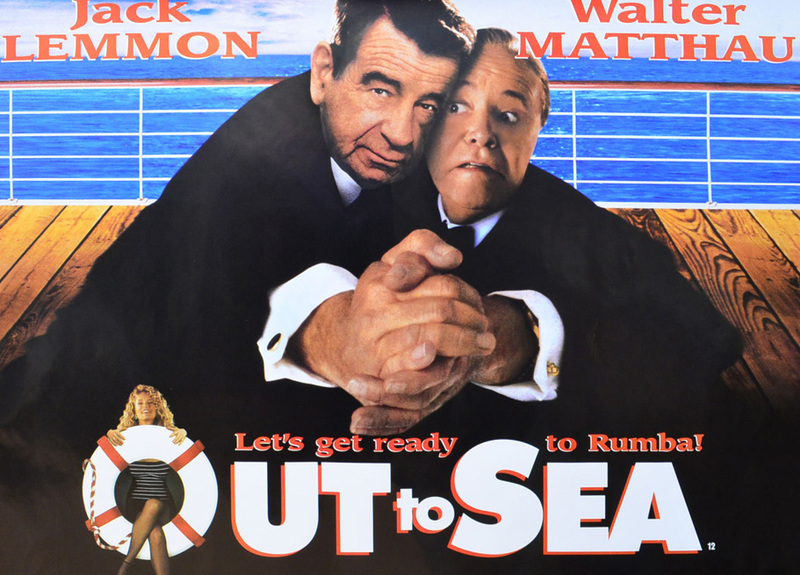 Out to Sea is a 1997 romantic comedy film starring Jack Lemmon, Walter Matthau, Rue McClanahan, Dyan Cannon and Brent Spiner. It was the final film for Donald O’Connor, Gloria DeHaven and Edward Mulhare. Out to Sea was directed by Martha Coolidge, with a screenplay by Robert Nelson Jacobs. The original music score was composed by Michael Muhlfriedel and David Newman. Compulsive gambler Charlie Gordon, hiding out from his various bookies and loan sharks, cons his close friend and brother-in-law, widower Herb Sullivan, whose recently deceased wife, Susie Gordon-Sullivan, was Charlie’s sister, into an all expenses-paid luxury Holland America Mexican cruise. The catch, which Charlie does not reveal to Herb until the ship has left port, is that they are required to work as dance hosts and must sleep in a cramped cabin in the bowels of the ship.